We are a premium, full-service E-commerce agency for leading brands and e-tailers, with a sharp focus on developing user-centric and commercially successful online stores. 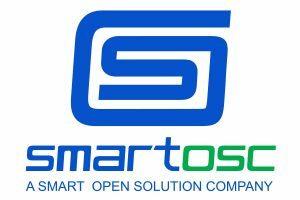 About us: Established in 2006, SmartOSC is a premium, full-service e-commerce agency. The company’s portfolio includes more than 500 clients around the world, including many premium brands: Lotte, Courts, PayPal, Boozt, SpaceX, Smartbox, eWAY, Priceline Pharmacy, Club 21, Delta Apparel. As of January 2017, SmartOSC acquired a global presence with 350+ employees and offices in Vietnam, Australia, Singapore, the US, and the UK. SmartOSC offers a wide range of services including consulting, UI/UX design, development, and managed service. The company’s technical and business expertise is built around selected platforms: Magento, Sitecore, Adobe, Hybris, Kentico.